So fun to read the story of how you met Nate! I knew some of it but not the part about your cancellation! That's funny! 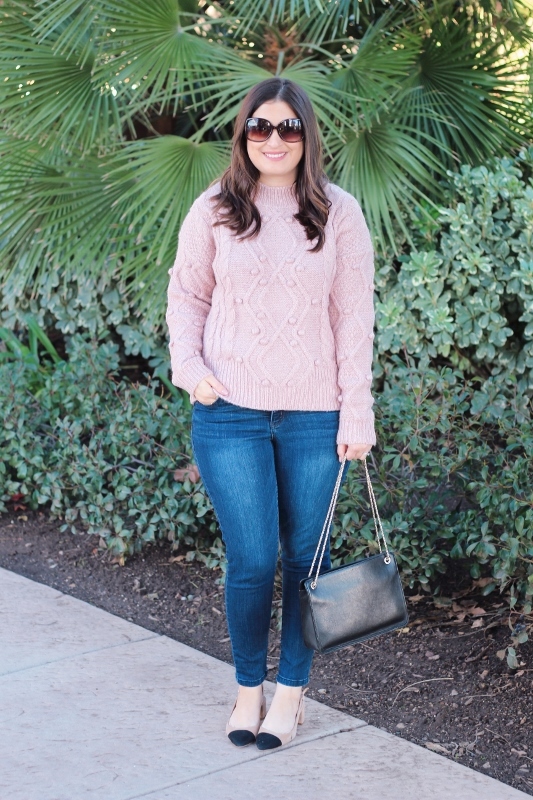 Also love your cozy pink sweater! Perfect for Valentine's Day and beyond! aaaw your story with Nate is so sweet and love that you didn't ditch your girls lol. 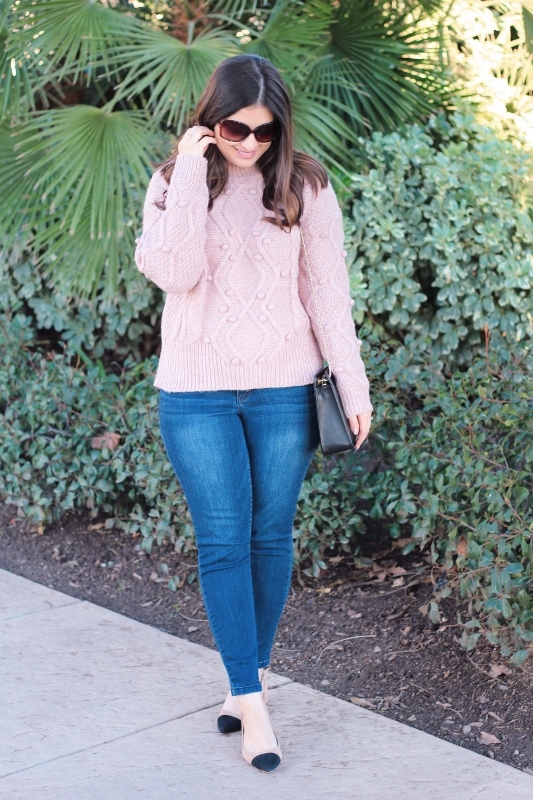 Love this blush pink on you, if it was cool here this sweater would be so me. You look gorgeous Noelle. Aw! That story is so sweet! Thanks for sharing it! 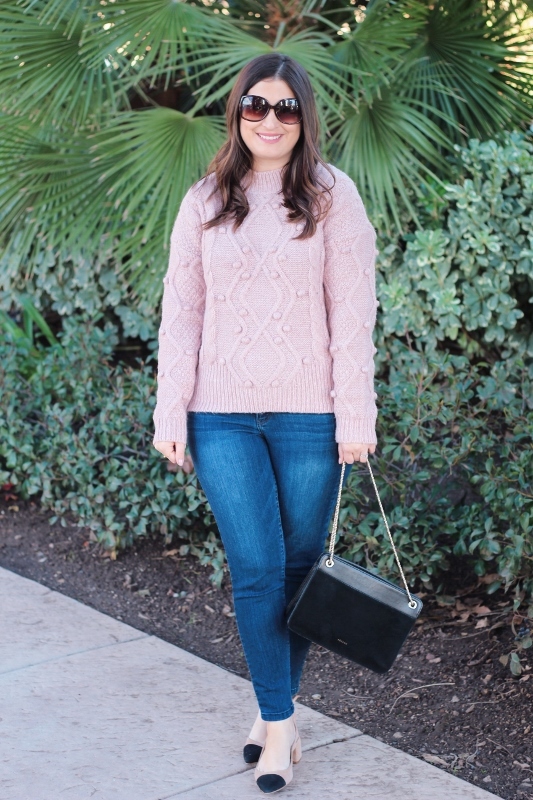 I love that sweater-it's perfect for Valentine's Day!